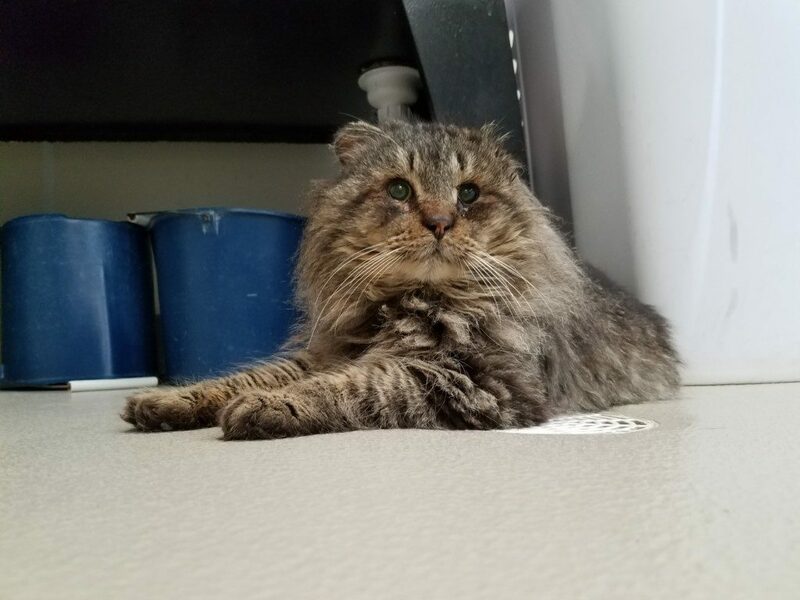 Meet Fozzy, one of the sweetest of the sweet cats you will ever meet, but who unfortunately was found in rather rough shape. Fozzy on arrival, taken March 27, 2019. His left ear is all but gone, and his right ear is only half there. Both are infected, though his left ear is one of the worst cases we have ever seen. You can smell the infection from across the room, and the pus just runs from that ear. He went immediately to Dr. Diane of Fairfax Vet, who does amazing work. 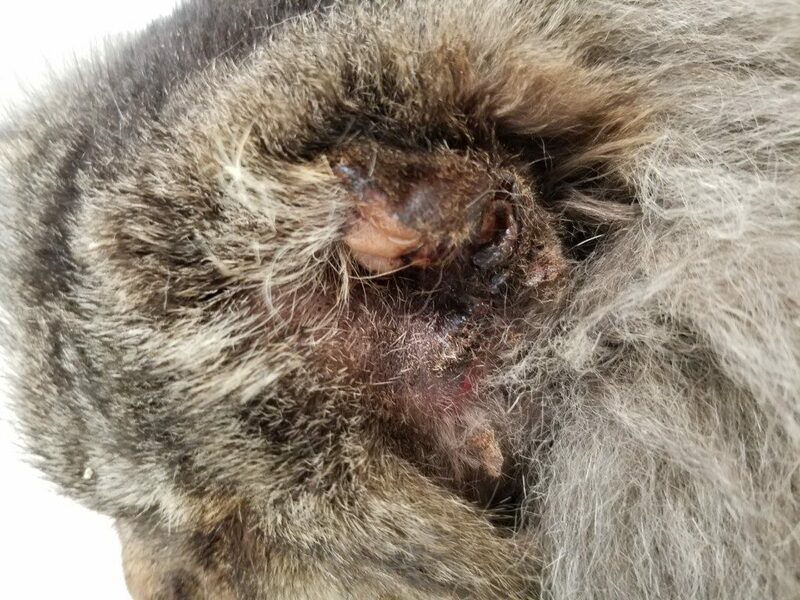 Fozzy’s very infected right ear on arrival, after it was shaved, taken March 27, 2019. She says that depending on the depth of the infection, this could be a very tough case to beat. But she is determined to do what she can. Two days after his arrival, on Friday March 29, Fozzy went into have his ear amputated and the extent of the infection assessed. Update to come soon on what we find! Fozzy on arrival, taken March 27, 2019. 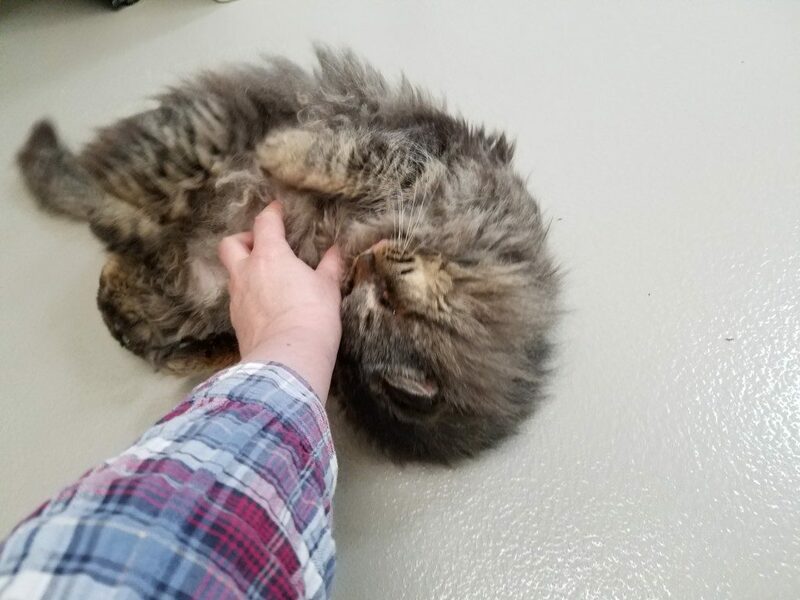 Fozzy loves to be pet and to rub on people. Fozzy is one tough little kitty cat to have made it this far. Despite the pain and severity of his infection, he still just wants to be loved on and give the loves back again. He is so sweet! 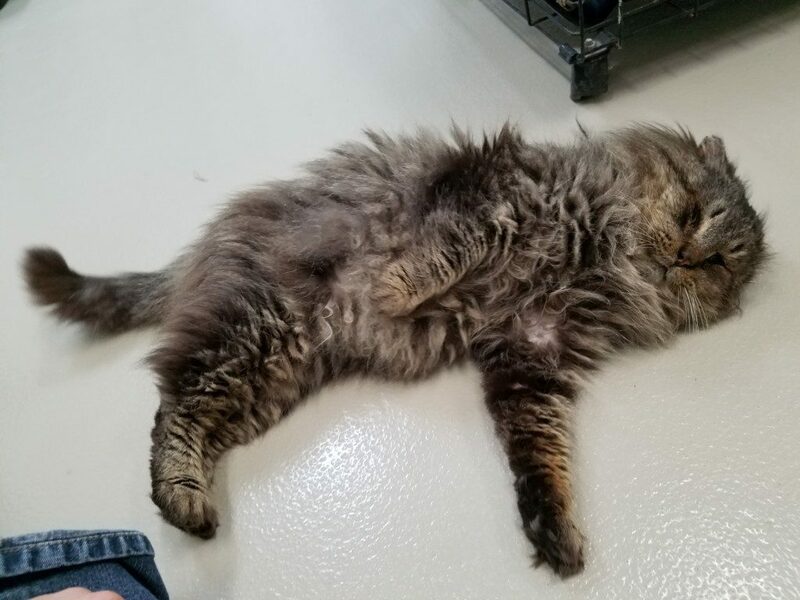 This cat has a simply amazing personality. He purred the entire time I was removing matted fur from around his ears and neck. The mats were very close to the skin, and few cat will tolerate that, as it inevitably pulls a bit to get them off. But I think Fozzy understood he was being helped, and was very happy to be relieved of those mats. Good news! His ears have improved so much, that hhe does not need the left one amputated after all. A week of ear ointment should have him fixed up.